homthack wrote: Nothing happened to me and no mistake about that, since I have the new version 5.0.0 and because of that I want to ask what is it about bugfix release? Not all versions will have bugfix release - only, when we discovered bugs at 5.0.0, and not because 0.4.17.1 has bugfix release. Enrikoo wrote: I am spawned in nowhere in this map. Can you help me how to directly get summoned there? Ah, yes it is bad to use our own account, singleplayer is better to get spawned directly. 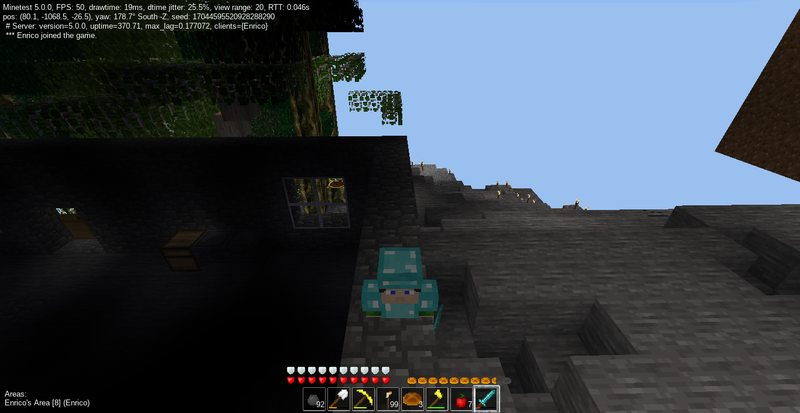 I am spawned in nowhere in this map. Can you help me how to directly get summoned there? Ich wollte nur fragen, ob dies normal ist oder ob sie es beheben müssen, wenn da ein Mod der Spieler-Modell 1 Knoten nach unten verschoben.? does not say the newest dev version you published. BTW you can download them in another methods. It would not be bad if you upgrade it to 5.0.0. Great GG to developers, Thank ya, cannot wait to play it. jas wrote: There is no final release. There will be a direct release. Honeypot wrote: How can it be a feature when even stacking of tools is not possible in player inventory (it even sounds ridiculous,IMHO)? I mean the hoes. I had seen the bug too, thanks for reporting. Why not just give them ladders directly? Nice idea but you can do many things with stick in which you make items such as steel pickaxe and etc. So yeah it isn't far away from 5.0.0 so I going to change thread or keep it for later, the discussion is over. 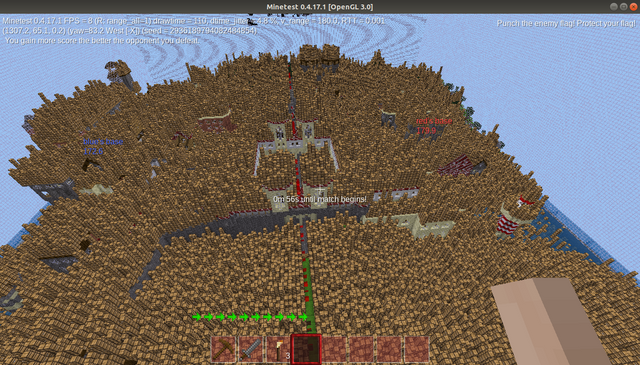 This is a karsthafen map, which is filled with tons of chests, now you made it too insane. I like many chests but you ruined the map. Sorry it does not work, and if you can't programm a Clientside Mod, then why you don't post it in mods section? Maybe it is forbidden to post something on old topics? I were warned by a moderator when I comment an old topic from 2010 or 2011.